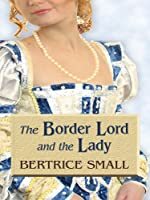 At the Scot's court Cicely finds herself pursued by two men-elegant Andrew Gordon, the laird of Fairlee, and Ian Douglas, the laird of Glengorm, a rough-spoken border lord. When Ian kidnaps Cicely just as Andrew is about to propose, the royal court is sent into an uproar. The queen is demanding the return of her friend and the Gordons are threatening to set the border on fire. But the border lord is difficult to tame-and the lady's heart is even harder to claim.